Rocking chair is a modern furniture piece that is designed for total relaxation and stress release.Whether it be through the rhythmic rocking oscillations or the careful focus on the repetitive motion, rocking chair design adds a calming feel to a room and creates peaceful atmosphere. A family rocking chair is a furniture piece that becomes a treasured family heirloom to be passed through generations. Regardless of rocking chair design style, whether it be mid century modern furniture item or classic Victorian chair, there is a rocking chair designed to please and delight you. A rocking chair makes a statement, bringing character and setting a certain mood in a room. Consider what rocking chair design is the best for your room decorating and invest into this wonderful modern furniture piece. One size does not fit all, and it would be to your advantage to make some decisions prior to purchase. Find a place for a new rocking chair in your room. Original rocking chair design is perfect for outdoors. A contemporary chair design can be used in any room of the house. 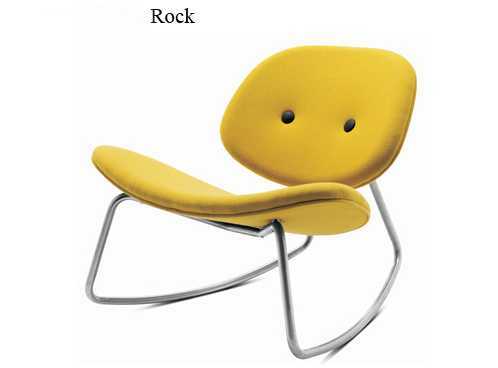 How and where you are going to use a rocking chair dictate the material, size and chair design style. A sturdy wood is great for a porch rocking chair design. Comfortable upholstered rocking chair design is a wonderful option for a master bedroom decorating, den or home library. 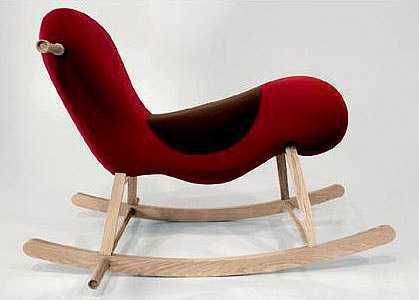 A retro or contemporary rocking chair design can become a decorative accent piece or provide a cozy place for reading. 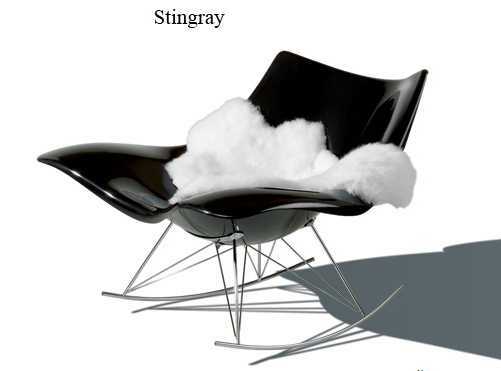 An unusual rocking chair design with a stunning silhouette can be used as a focal point or a sculpture in a room corner. Inviting and comfortable rocking chair design may provide a fantastic seat in your living room, enhancing your room furniture set and making living room feel inviting and relaxing. A rocking chair design may look fantastic by itself or require an additional furniture piece, creating a comfortable and stylish place for rest while adding personality to your room decorating.